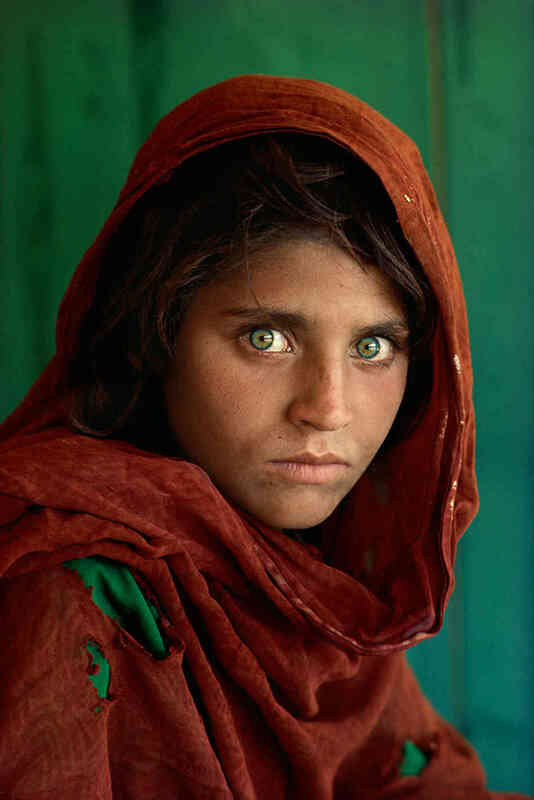 One of the most well-known photos of our time is that of the 'Afghan Girl'. Taken by photographer Steve McCurry while on assignment for National Geographic in Pakistan in 1984. McCurry captured the image with Kodachrome 64 slide 35mm film on a Nikon FM2 Nikkor 105mm Ai-S f/2.5 lens. 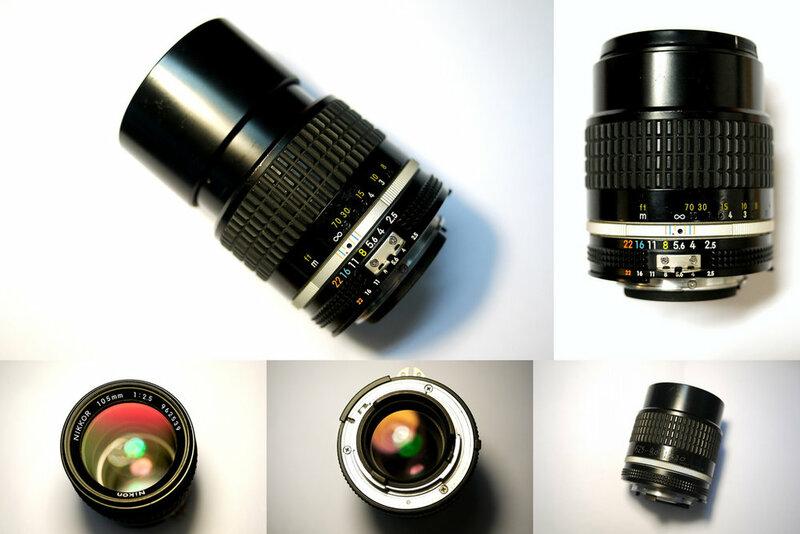 Though, there has been some who claim to have knowledge of the lens used being a180mm. Covering the Soviet occupation of Afghanistan (1979-1989) in Pakistan, McCurry was photographing children at an all girls school within a refugee camp. One extraordinary girl with blue-green-grey eyes caught his attention. Attempting to get a portrait with her gazing straight into the camera he captured 4 or 5 images. After her teacher explained that it was important for the world to understand and see life inside the refugee camp, the girl revealed her face. McCurry snapped two more shots, looked down to check his camera settings, looked up and she was gone. 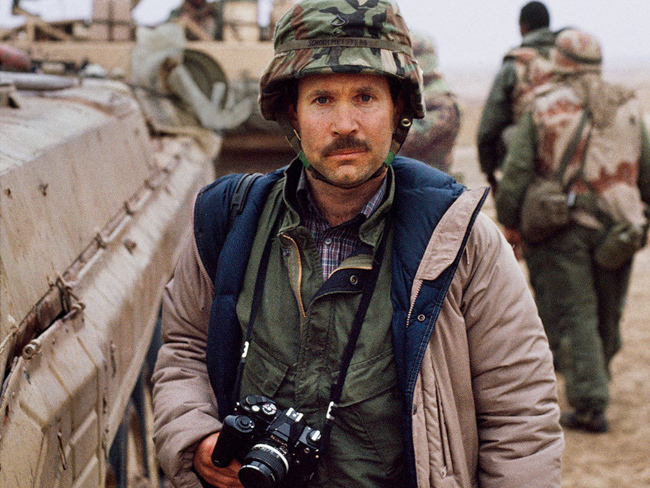 After the roll was completed McCurry shipped the roll of Kodachrome off to Washington and continued his assignment. Two or three months later he finally saw the images for the first time. "Lets Not Show it to the Editor"
The first time the photo editor saw the image on the light table he thought the picture was too disturbing to be on the cover of the magazine.. "Let's not show it to the editor." he told McCurry. The photo editor prefered the image with the girls hands over her face. Knowing he had something special, McCurry and the photo editor came to a compromise that they would show both photos to the editor. Who is the Afghan Girl? At the time of publication the young girls identity was unknown. McCurry made several attempts over the years to locate her. 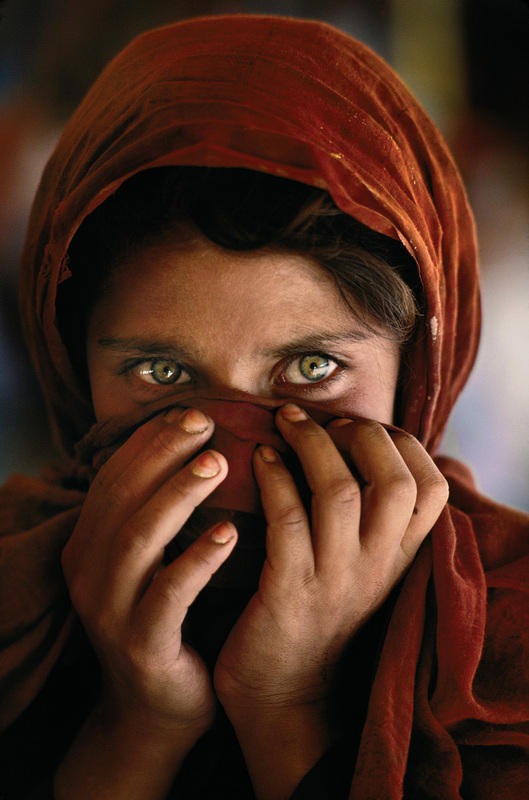 In 2002 National Geographic brought McCurry and a film crew to Pakistan to search once again. With many false leads of women claiming to be her and men claiming to be her husband, eventually they got lucky. 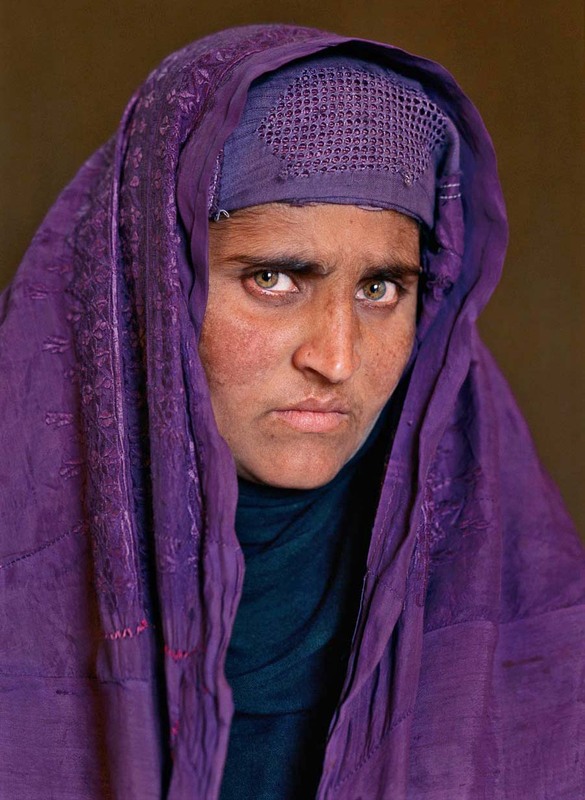 A man claimed he lived with her as a child, and she now lived in Afghanistan in the mountains near Tora Bora. He said he would go to get her, and three days later he returned. 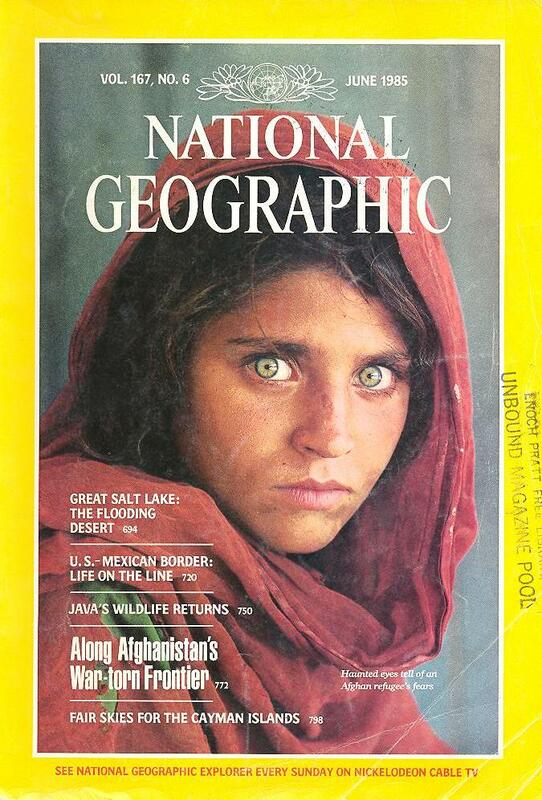 17 years later McCurry finally met Sharbat Gula, the Afghan Girl. On the day they reunited he showed her the image from 1984 which was the first time she had seen it. Then for the second time in her life, her portrait was taken once again.